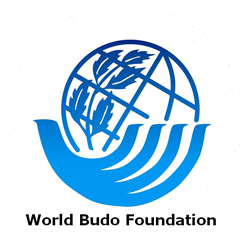 Once admitted as an associated organization of SportAccord the WBF intends to operate as the organizing body of all prospective world federations of martial arts that apply for SportAccord membership. WBF itself will not be involved in organizing competitions. It is the primary task of WBF’s member organizations to organize international competitions for their respective martial arts. The only exception to the above is the commitment of WBF to the development of Martial Arts World Games. In initiating this event WBF will lead the way. As the Martial Arts World Games will be held, it will be under the patronage of SportAccord . Invitations will be extended to SportAccord and ‘the colors’ of SportAccord will be displayed. WBF will accept new member organizations only after consultation and in agreement with SportAccord . Applications for SportAccord /WBF membership will be discussed in joint sessions of mandated delegations of SportAccord and WBF. Such meetings will take place at least once a year (and more often if such becomes necessary). These meetings will precede the annual General Assembly of SportAccord and/or WBF annual Council meeting. Where – as the outcome of the application procedure of an application organization of WBF – as laid out in points 7 – 9 of this agreement – a conflict of interests persists with an existing member organization of SportAccord , the contested matter will be put before an ad hoc committee of arbitrage for a final judgment. The ad hoc committee of arbitrage will be composed of an uneven number of independent members (appointed by the Council of SportAccord ) and will rule by majority vote after having evaluated the written documentation on the case and after having heard the arguments of the organizations involved. The most important reason for international federations (IF’s) to join WBF is their individual ambition to be consequently recognized by SportAccord as a mature, responsible member of the international family of organized sports. WBF intends to link and represent its members to SportAccord and WADA.